The Mediterranean diet has been in focus for quite some time as a good way to support health, particularly heart health and brain health. Well, a Spanish study now suggests that men who adhere to a strict Mediterranean diet have lower cases of aggressive prostate cancer. 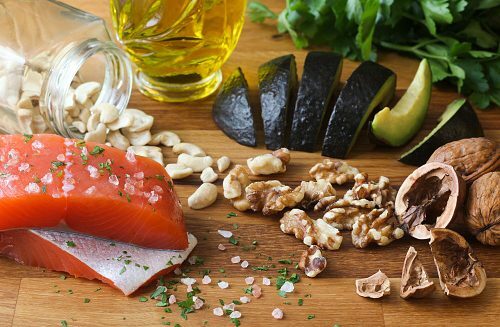 Those who most closely followed the Mediterranean diet experienced a 32 to 34 percent reduced risk of aggressive prostate cancer than those who ate a Western diet. The likelihood of advanced stage cancer was 51 percent lower among those who followed the Mediterranean diet compared to those who did not. The researchers collected dietary information from 754 confirmed cases of prostate cancer and 1,277 controls. The researchers analyzed the adherence of three dietary patterns including the Mediterranean, Western, and Prudent diets. The Western diet is high in dairy, refined grains, processed meat, soda, sweets, fast food, and sauces. The Prudent diet consists of low-fat dairy, whole grains, fruits, vegetables, and juices. Adherence to any given diet was ranked in four quartiles from lowest to highest adherence. The researchers noted that higher adherence to any specific diet was associated with prostate cancer risk. For example, higher adherence to the Western diet was associated with a higher risk of aggressive prostate cancer. A shocking result was that men who fell in the third quartile of adherence in the Prudent diet had a 60 percent higher risk of aggressive prostate cancer compared to those in the first quartile. The researchers speculate it may be linked to dairy consumption. As mentioned, the Mediterranean diet is high in fish, olive oil, fruits, vegetables, whole grains, and low in refined and processed foods, sugars, and fat.